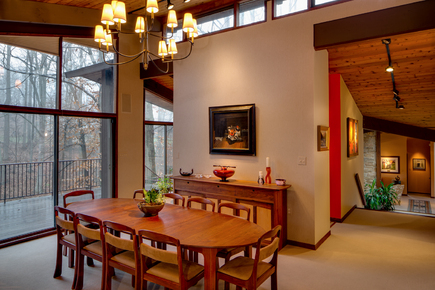 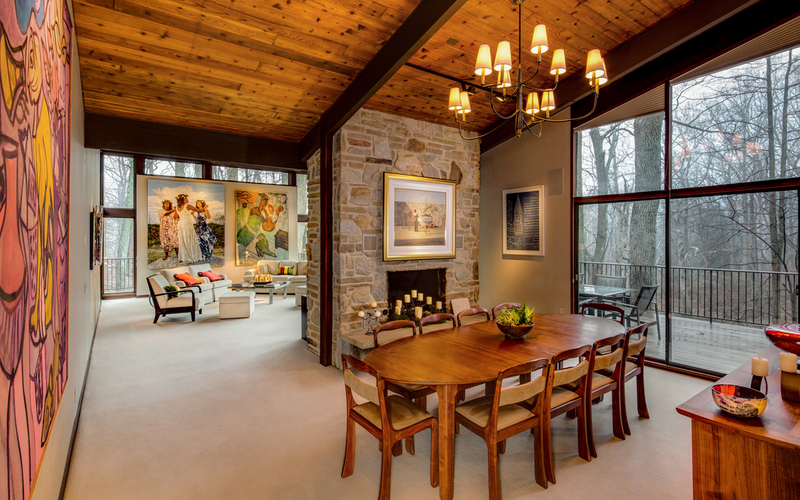 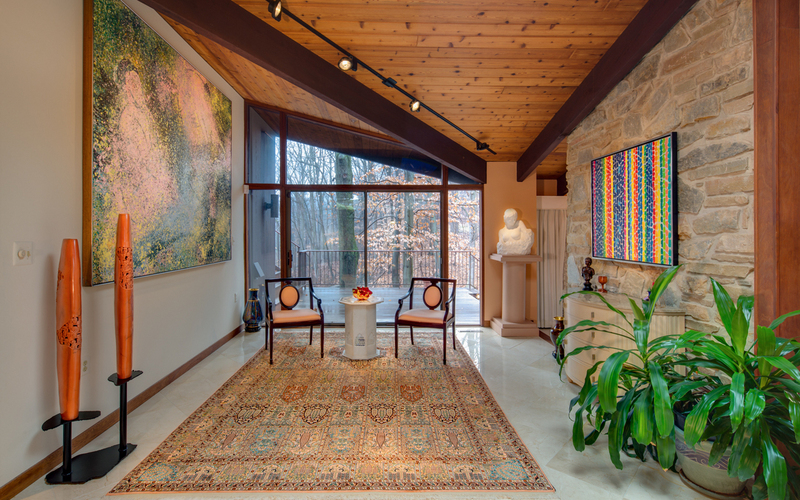 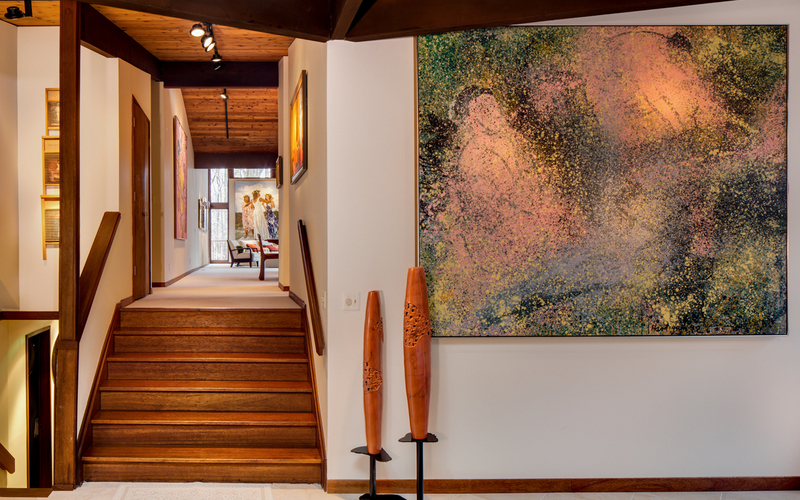 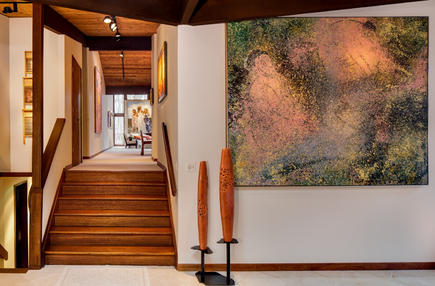 Nestled in a densely wooded setting overlooking a pond, the 1970’s home with an extensive art collection is expanded with a small addition that provides both comfort and improved functionality. 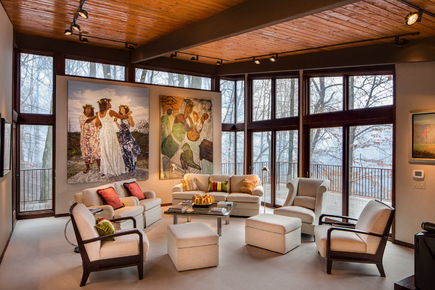 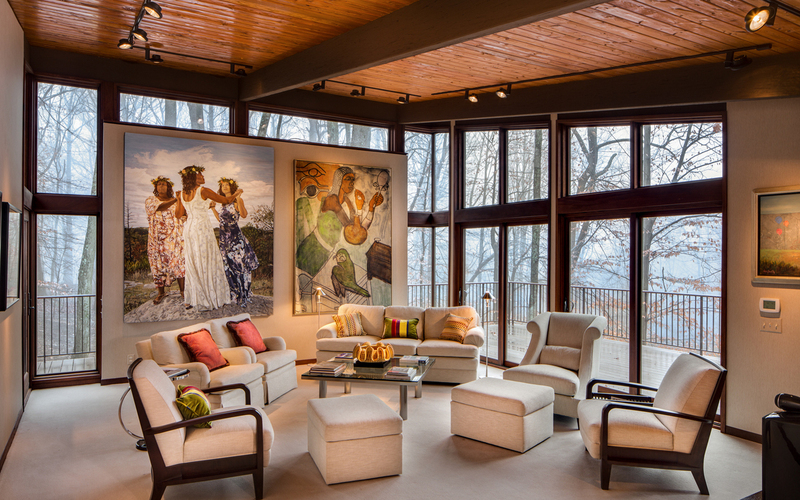 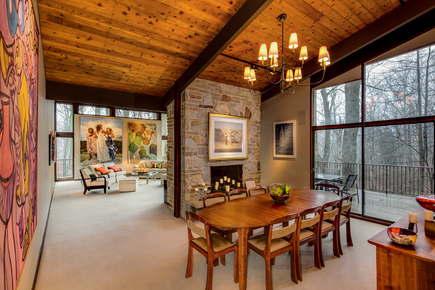 The focus of the addition is a prominent living area with thoughtfully designed windows that provide views to the woods and pond beyond while also creating a gallery for the painting collection. 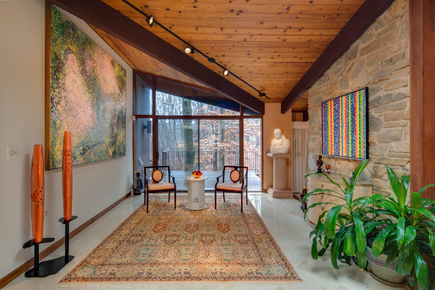 The new living area allows the dining room to relocate and the entry foyer to become a gallery sitting room. 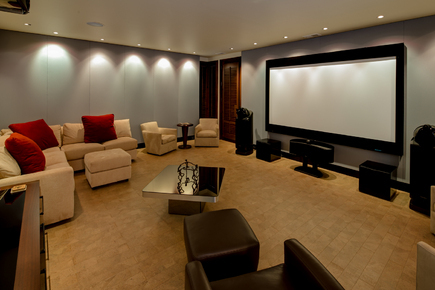 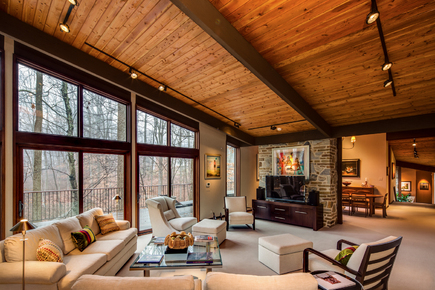 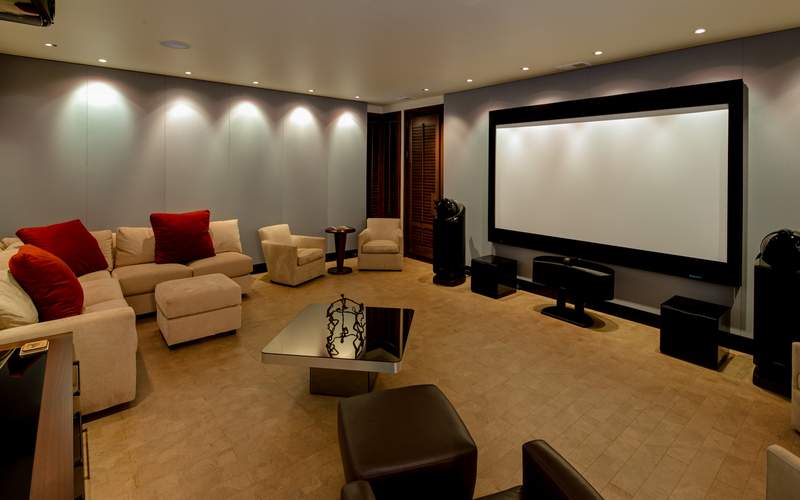 The lower level of the addition provides a comfortable, technology-rich media room. 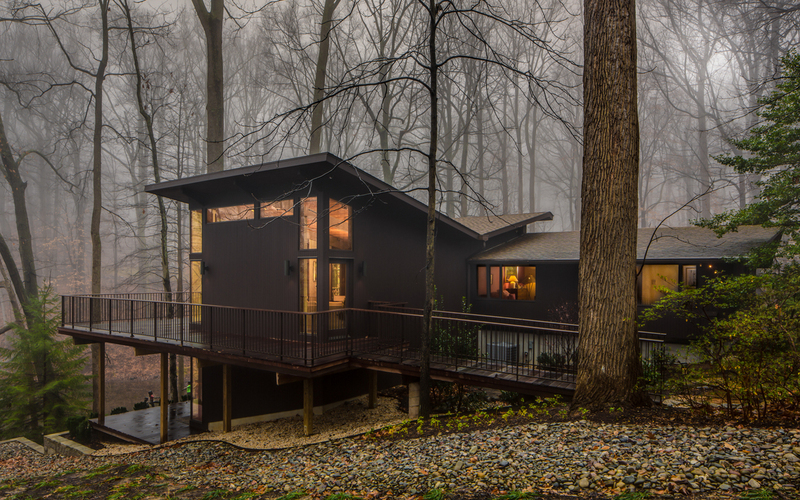 A new deck wraps the addition and connects the living spaces on one level for outdoor entertaining. 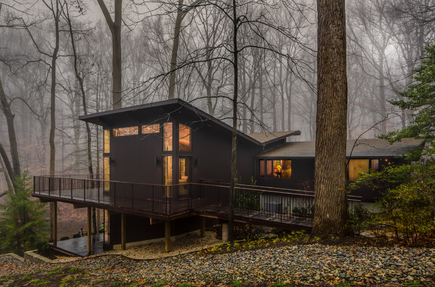 The addition integrates with the existing house as if it were part of the original design. 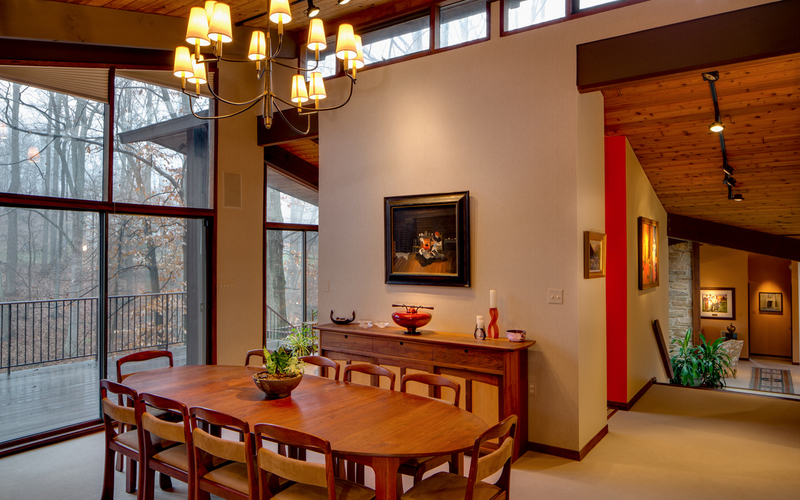 The sloping roof structure mirrors the existing structure to complete the butterfly roof gesture and fill the addition with natural light. 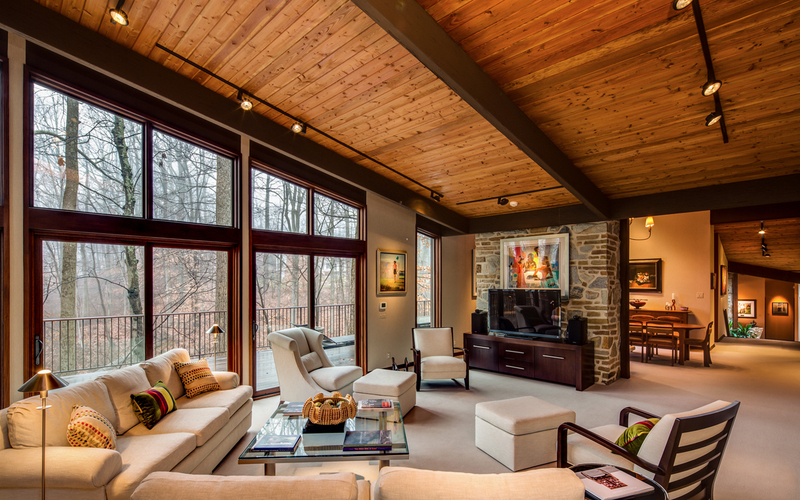 The established wood structure and exposed ceiling panels continue from the existing into the new, creating continuity and simplicity in the expanded living space.